How To Make Money Reviewing Products Online? I will show you in this article how to make money reviewing products online. Not only that, but I will provide you with the tools that can help you in your journey of becoming a successful affiliate marketer. You can make money reviewing books, health products, digital products or simply any product in any niche. But first of all, you need to learn how to write a product review. And don’t worry! 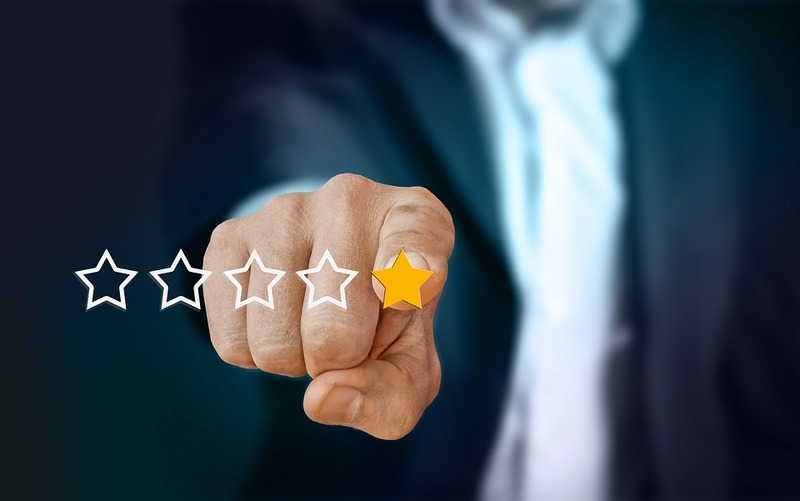 you don’t have to be a “techie” person in order to become successful in the Affiliate Marketing through reviewing products. I will provide you with the place and tools you will need in order to make this work :). First of all, why is Reviewing Products Online one of the Best Ways to Make Money Online? There are many ways for making money with a blog or website, but affiliate marketing is in my opinion the best way for making a passive income for many reasons that I explained in this article, but why is Reviewing Products as an affiliate the best way to make money online? You can answer this question by yourself. Have you ever wanted to buy some item online, but you were afraid that you were being scammed or that the product isn’t one of a high quality? What is the first thing you do in such a situation? You simply go to Google Search Console and type “Product X Review”, you go through the first few reviews on the first page results and read what the writers of these articles say about this product, what they like and what they don’t like. And finally, they give their opinion about the product if it was legit or a scam, and they give you the recommendation on whether to buy it or not. After you read some reviews, and sometimes after reading only one review, you will decide if this the product you are looking for or you have to find another one. Why we need reviews for the products we want to buy? because simply, we trust the product more when a recommendation comes from someone we can trust. And here is the role of the blogger, or the website owner, the one who tried the product and offers his honest opinion about it. And if you are finally convinced about the products and want to purchase it, you usually click on the link in the review that will lead you to the product page where you can buy it, and the blogger, or the website owner, gets the commission on this sale operation. ==>You can click here to see my number #1 recommendation on where to learn how to be a Successful Affiliate Marketer! So, How to Start Making Money Reviewing Products Online? 1- The Product, which should have an Affiliate Program. You may be wondering if you can find products in your niche that you will be able to promote as an affiliate marketer, but you will be surprised to know that there are millions of products available online in thousands of categories and sub- categories. 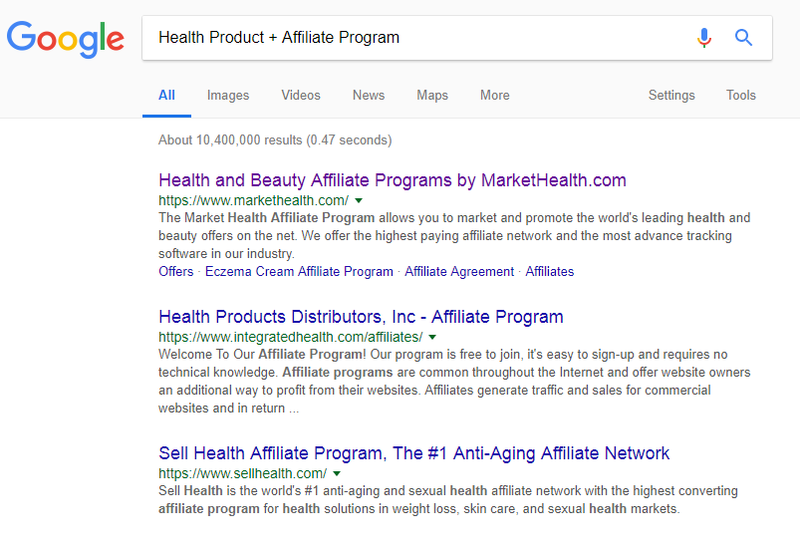 One way, you can find the products that have an affiliate program in any niche by going to Google Search Console and type the name of your niche, then +, then the words “Affiliate Program”. And google will show you the pages from the websites related to these products that have affiliate program. For example, if I type in Google Search Console the following words: Health Product + Affiliate Program, and click Enter, it will give me the websites that offer affiliate programs for selling products related to the health niche. Check the following photo as an example example. These could be Physical Products or Digital Products (EBooks or Videos) or maybe a monthly subscription. After you find the product you want to promote, you have to apply to join the Affiliate Program or Network by filling some basic information about your background and how you intent to promote the products. And After the approval, you start getting unique links (Affiliate Links) which you can share with your audience, and when they click on them and buy the product, you will earn the commission. 2 – A Landing Page. This is where you are going to write the review, and you will be placing your unique link to the Product Sale Page (Affiliate Link). This page could be a page on a website you own, on a forum in the related niche, a post on Linkedin.com, or even a post on Facebook.com. It is much better though, to have your own website, as it will be better to rank on Google and appear in the search results. While when you share it on Facebook for example, it will go down with the news feed with time and won’t be easy for people to find it later. ==>Click Here to Learn How to Create a Website for Free in 30 Seconds! 3 – The Money Making Product Review (Article/Post). Captivating: able to attract and keep the attention of the reader. Informative: gives a detailed description about the product and it pros and cons. Accurate: don’t change facts and don’t hide anything. Opinionated: The readers are there in order to get an advice whether to buy or not to buy. So, give them your honest recommendation and then share your affiliate link. You can also learn more about creating insightful thorough reviews by watching this video lesson from Wealthy Affiliate Training Program. I’m sure you will have a better idea. Now that you have written your product review, let’s get people to read it. Search Engines: Google, Bing, Yahoo, AOL, ..etc. And this is the best source of traffic ever. As it is free, and when getting high ranks on the search engines, you can benefit from the thousands of searches that people make every day on that product. For this to happen, you need to learn and use the basics of SEO (don’t worry, you will find more details below). Social Media Platforms: Linkedin, Facebook, Twitter, Instagram, Reddit, Quora and many other platforms that you can leverage in order to drive traffic to your product review. Try create your own Audience of your niche and share your review with them. You can find your audience in related Facebook and LinkedIn Groups, targeted hashtags on Twitter, Related Sub-Reddits on Reddit and so on. Related Forums: Might seem an old fashion thing, but some forums are still active in some niches. E-mail Marketing: As they say: The Money Is In The List. E-mail is king. If you have a good list of a targeted audience, you can send them emails and share the link to any review you write about a product they might be interested in buying. PPC (Pay Per Click) Ads on Search Engines: People always search for products or solutions for their problems through the Search Engines (e.g. Google, Yahoo, Bing, AOL, ..etc.). If you can target the right keywords, you can get people to see your Ads on the first page of the search results even if you don’t have a high SEO Ranking. PPC Ads on Social Media Platforms: Through Facebook Ads, You can target people based on gender, age, location, interests, hobbies and even based on the mobile devices they use. And Through Linkedin Ads, you can target them based on the industry they work in, the professional specialization or field of expertise, level of seniority, location and many other criteria. Same for Instagram, Twitter, and so on. The key is to know who your targeted audience is and send targeted ads to them. PPM (Pay Per Impression) Ads: These are the banners you see on most of the websites you enter. These could be done through Google Adwords, Bing Ads, or many other similar Platforms. And the list goes on with the ways you can use to drive traffic to your product review. But my preferred way and the most profitable way is the Free Organic Traffic through the Search Engines. This one alone if done the right way, can get you to receive a full passive income for years to come. Which is why I’m going to give you some details about the SEO (Search Engine Optimization). A major element necessary for the review to get the free organic traffic from the search engines, is to be strong in terms of SEO (Search Engine Optimization) so that you rank on the first page of Google, Bing, Yahoo and others’ Search Results. Don’t freak out! It’s not as difficult and techie as you think. I will lead you to where you can learn how to do this in my recommendation # 1 to learn Affiliate Marketing. Unique Content: Don’t ever copy anything from anywhere and paste it on your website! Just DON’T! This is the biggest mistake ever, and Google will be very upset with you that you will never appear in any search results. Your content has to be unique. Keywords: You have to choose the keyword that your readers will be using in order to get to your review. And then, you use it in the right places of your review (Title, URL, First Paragraph, Article Body, ..etc.). However, try not to overuse the keywords in a way that looks creepy. Google will consider this as a spamming technique and will punish you by lowering your ranks. Article Length: As a general rule, google loves to rank articles that are more than 1000 words in lengths and gives them higher ranks, and with more than 2000 words in the first four results. If you think that is difficult or that you are not good in copywriting, don’t worry, I also used to think the same about myself, and English is not my first language. When I started writing my first review, I was wondering if I would be able to write 500 words, then I ended up writing more than 2400 words! Not bad for the first review I write! You just have to be natural and try to give as much useful and organized information to the reader as you can. Just be natural, as if you are talking to a friend. People like such reviews and these are what convert the best.:). Another note, is that the recommended length of an article depends to some extent on the niche. You can find more about this from Neil Patel by clicking here. Links: These are the links that either direct people from other places to your review or direct them from your review to other related pages. And there are three kinds of these links: 1 – Internal (inside other pages in your website) and, 2 – External (directing to content on other authority websites) 3 – Backlinks: leading to your review from external websites. Such links, is what makes google understand that your review is valuable and will make it easier to get higher ranks. However, you have to keep in mind that the Backlinks should be placed on relevant pages or websites. Don’t just go and place the link everywhere as this will turn them into Badlinks instead of Backlinks. And Google will punish you for doing so. User Experience: Try to make your review as clear and organized as possible so that it becomes easy to read. If people can’t understand what you say, or can’t read the article because you are using many colours, they will leave and look for another review, and this will affect your ranking on google and your conversions. 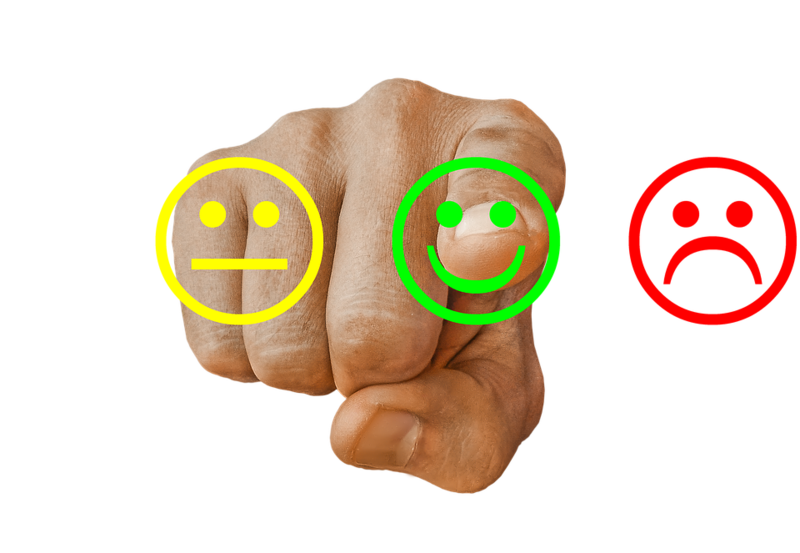 Try to make it as easy as possible for your readers to make the decision whether to buy or not, in order to make your review a highly converting review. And there are other factors that affect the SEO, like Website Speed, how regular you add content, ..etc. but I’m trying to focus here on the elements you need to take into consideration when writing a review. Check my article on how to write SEO friendly articles to know more on this topic. ==>If you want to know about a free tool that will help you in writing a high quality, error free content, Click here! Now that you know the steps and the basics for the affiliate marketing by reviewing products online, you should understand that you have to treat this as a real business. Don’t Expect to start making money from day one. This is not the idea behind affiliate marketing. The Idea is to build a sustainable business that will pay you back a passive income for the years to come. And this is why you should put the time and effort in advance in order to learn and take a systematic approach towards building a successful business in the Affiliate Marketing Industry. For this to happen, you need to follow a proven method or a system that will teach you and take you step-by-step and show you how to do this and provide you with all the tools and support you need in your journey. This is why, I want you to join my number 1 recommendation for the Affiliate Marketing Training for Beginners and Advanced alike. And don’t worry, you can start with the free membership through my link and see if you are comfortable with the training, and then, if you want to join the premium membership and reap the full benefits or you just want to work with the free membership. Click on the link below in order to start with the free training. 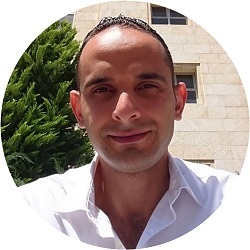 ==> Start Making Money with Reviewing Products Online & Learn more about SEO and Copywriting in a systematic way by reading my # 1 Recommendation on how to Learn and Become a Successful Affiliate Marketer. Click Here! P.S. I’m assuming here that you don’t have products of your own that you want to sell. If you do have a digital product that you want to sell, check my article on how to sell digital products without a website or with a website! Making Money With a Website – How To Monetize a Website Traffic? Sure, building a valuable content is the most important part of building a profitable website and make people trust your recommendations and reviews. Thank you Jack for reading my review and for the comment! I totally agree with you, we will always be learning in order to keep growing and be able to achieve success by fulfilling our dreams. You are always welcome to visit my website and read the content. thank you for such an in depth review i think i will have to shift my market because i think where i am right now it is just not working out may be reviews will work out for me, i have been in the news blogging for quite sometime now with a number of clients but the money is on the low like always so…. You are most welcome Dave! Affiliate Marketing is my favourite as it allows you to receive a passive income for the effort you put in advance. While news needs to keep up to date with all what happens around you and everywhere. If you stop for one day, it won’t work. I highly encourage you to shift to the Affiliate and take a consistent action and be patient in order for it to work for you.